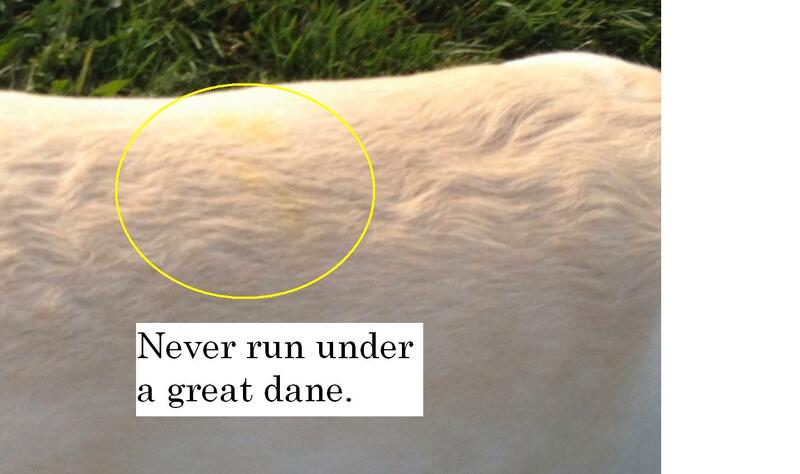 Never run underneath a great dane. his poor old tired back. so it is not macho enough for him. with just the pack. .
year, the trail is not much of a loop either. downhill, and good aerobic exercise as well. Mongo and Dad went hunting Sunday. It was the last hunt of the season. The wind was blowing very strongly out of the North. It blew all the scent away from the birds and made them very hard to find. Mongo was very persistent though. It was so difficult to find birds, hHe even tried to retrieve the duck decoys from the center of the pond. He was so focused on the decoys, he missed the live ducks over by the edge even as they flew away. Or maybe he ignored the live ones on purpose and his trying the grab the ones in the center was all false bravado. We all know live ducks can be very scary. It was a long day no matter what. 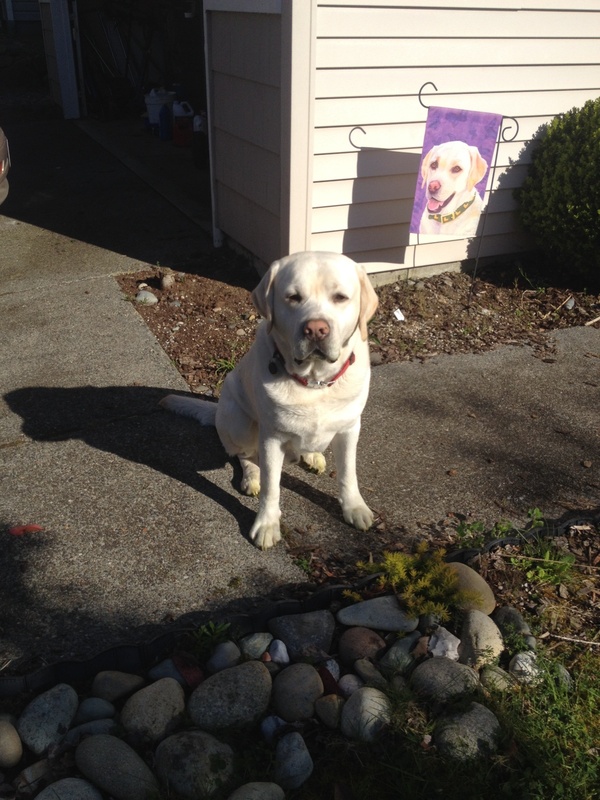 He loped all over the field three times, and by the end of the hunt he was exhausted. He slept most of the way home in the truck, and when he arrived, plopped unceremoniously onto the floor, and took another big nap.